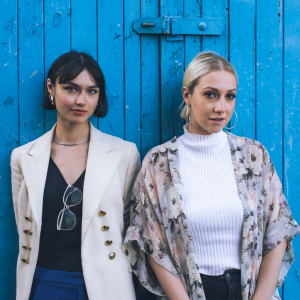 Charlie and Fabienne, the business women behind serviced apartments brand Cuckooz, are changing the way we perceive the workplace by bringing new life to it – quite literally. Along with interior designer Leo, the trio are the brains and design heads behind Cuckooz Nest, London’s brand new co-working space with built-in crèche. It aims to provide affordable and flexible childcare to working parents, something that mother-of-one and entrepreneur Charlie struggled to find after returning to work. However, it’s not just the concept that grabbed us, but the fabulous, innovative interior. We caught up with Charlie, Fabienne and their interior designer Leo to pick their brains about the design of this pioneering space. Can you tell us a little bit about Cuckooz Nest? Why did you decide to open a Co-working space with crèche? Fab: The idea for Cuckooz Nest came from personal experience when Charlie and I launched our first business Cuckooz and Charlie came back to work six weeks after having her daughter, Orla. Charlie really struggled to find affordable and flexible childcare at the time. Realising that, in a city where 1 in 7 freelancers are working mums, she wasn’t alone, we saw a real opportunity to create a solution that worked. Who is Cuckooz Nest aimed at? What kinds of people are you hoping to attract? Fabienne: Cuckooz Nest is aimed at parents with children under two who wish to pursue their careers whilst being close to their babies. Initially we see this appealing to freelancers and small business owners however in the long-term we’d love to get large organisations involved to support & facilitate parent returners back to the workplace. What are you hoping to achieve with Cuckooz Nest? Charlie: We hope we’ve created a calm, beautiful & professional workspace where parents can continue with their work and careers whilst having the peace of mind that their child is being cared for by professionals. The interior of the space looks amazing. What was the overall design concept? Leo: We wanted to create a professional workspace and childcare facility but that also felt like an extension of the home. It was also important to support upcoming designers, so we’ve worked with an array of great talent that have contributed fantastic pieces for the space. These include; EJ Ryder, Dare Studios, Bag ‘n’ Bones, Liam Roberts, mUtable, Muro and Charlie Crane. Leo: The dark blue colour was chosen because we know its calming effects. We felt it would work really well for the children’s sleeping space as well having the same desired impact on adults in the workspace. The yellow and pink accent colours allow for a playful touch to the space without any of the colour scheme being gender specific. The use of brass within the space is both elegant whilst creating warmth. What influenced the textures and why is this important? Leo: We had a great blank canvas to work with beautiful wooden floors and exposed brick, as the building is a converted electrical factory. I created a materials palette that completed the existing features of the space. The idea of creating a warm home from home hugely influenced which materials we used. What factors did you consider when choosing the furniture? Leo: I wanted to collaborate with an exciting British designer and hence our partnership with Dare Studios who have provided some key pieces including our bespoke hot desking table. I’ve always enjoyed thrifting and finding reclaimed vintage furniture which was essential in creating the home from home feel and uniqueness of the space. We wanted to create a professional, usable workspace, which is why downstairs in the office space we chose ergonomic, functional, simple yet stylish desks and chairs. What influenced the overall layout of the space? Leo: The need to create three distinct zones across two floors was the main driver behind the layout. These were the crèche, the hot-desking/event space and the fixed desk space on the lower ground floor. I also wanted to ensure the kitchen was at the centre of the space, much like it would be at home. What is each of your favourite part of the design and why? Leo: I absolutely love the beautiful bespoke carpentry town house created by local designers EJ Ryder. As it’s the first thing you see on entering the crèche, it creates an immersive feeling of stepping into a life size dolls house. Fab: It’s all great, that’s a tricky question! But if I had to pick something I’s day, I think the colour scheme really works across the entire design. It’s a soothing yet sophisticated palette that can translate both within the workspace and the crèche. Charlie: Like Fab, I find it hard to pick one element. I really adore the way that there are so many different spaces under one roof so you can flex throughout the day. What makes the design of Cuckooz Nest innovative? Leo: Commissioning specialist collaborators & resourcefulness on a tight budget that in turn has in turn has created both a professional workspace and crèche which in itself is an innovative environment enabling parents to not compromise their career or parenthood. We’ll be running our best-selling Design Your Home Like A Pro interiors workshop on 7th April at Cuckooz Nest. Get tickets here.